Note: The application period for this drawing has ended. Any unclaimed/leftover tags will be posted when available. Hunters can apply for these tags during the second controlled hunt drawing from August 5 through August 15. Results of the drawing will be available around August 23. The available tags are listed below by species - Deer, Elk, Pronghorn, and Fall Bear. Some August controlled hunts will already be in progress when the second drawing occurs, but there will be plenty of hunting time available for most of those hunts. These hunts are denoted with an asterisk. 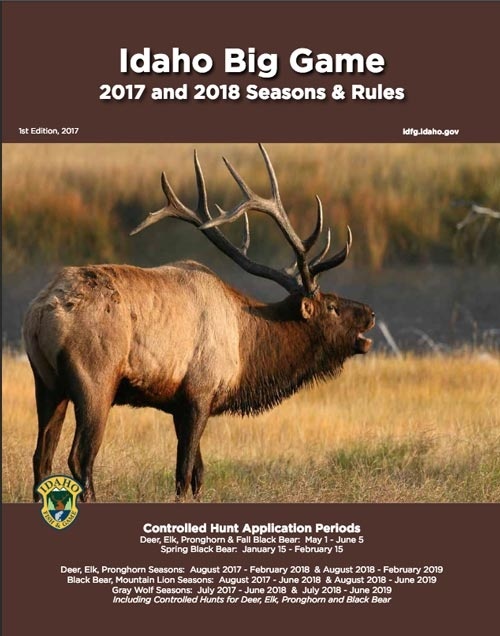 Note: The dates linked on this page go to the corresponding hunt in the Idaho Hunt Planner. This is a tool designed to aid you. Please see the official seasons and rules book for any questions. It never hurts to brush up on your seasons and rules information! You can pick up a copy at any vendor or regional office or browse the seasons and rules booklet online.